Hamas leadership says it will not launch rockets into Israel at Iran's request should a war break out after an Israeli strike in Iran. A senior Hamas official claimed on Tuesday the terror group will not do Iran's bidding in any war with Israel. His words were echoed by a second senior Hamas figure, who declined to be named, but told the Guardian Hamas “would not get involved” in any war between Iran and Israel. Bardawil added that Hamas has never given “complete loyalty.” He also pointed out out that Iran's population is overwhelmingly Shia, whereas Gaza is Sunni. “The relationship was based on common interests,” said Bardawil. The Guardian noted that Tehran has withdrawn its patronage of Hamas over its refusal to support Syrian President Bashar Assad during the uprising against him. 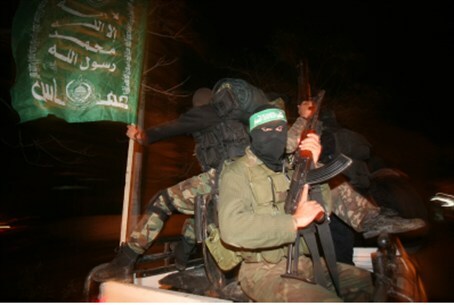 Hamas recently confirmed its leadership has left its longtime base in Syria because of the crackdown on protests there. Arab media reported last month that Hamas’ politburo chief Khaled Mashaal, fearing to return to Syria, set up shop in Qatar. Adnan Abu Amer, a Gazan academic who specializes in Islamic movements, told the Guardian Iran has terminated its financial support worth $23 million a month to Hamas. Abu Amer said that in addition to voices within Hamas calling to condemn Assad for the crackdown on protests, the Muslim Brotherhood in the region was openly critical of the Syrian regime and urged Hamas to break with Assad. Bardawil confirmed the dilemma for the exiled Hamas leadership and admitted the Muslim Brotherhood exerted an influence.